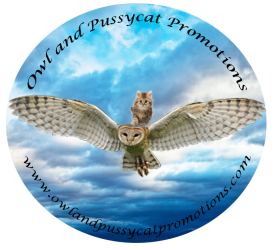 YOU’LL GET A QUALITY BOOK WHEN YOU PUBLISH WITH THE SOUTHERN OWL!!! AS AUTHORS, CRYSTAL AND GENEVIEVE KNOW WHAT AUTHORS WANT FOR THEIR BOOKS WHO BETTER TO BRING YOUR MANUSCRIPT TO FRUITION! JUST 2 OF THEIR AUTHORS! Previous PostPrevious IMAGINE GETTING AN INFO BOMB DROPPED ON YOU BUT THE SENDER OF THAT MESSAGE IS KILLED BEFORE YOU CAN FIND THE TRUTH! THE DAY THE MUSIC DIED AN EMLYN GOODE MYSTERY BY SUSAN LYNN SOLOMON!!! !